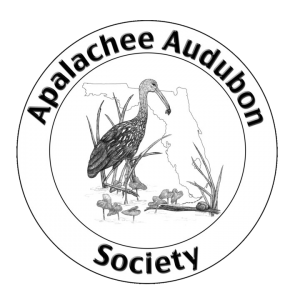 Keep up to date with our chapter events and newsletters by joining our Google Groups email notification list at: groups.google.com/group/apalachee-audubon. The list is for ANNOUNCEMENTS ONLY. There is no discussion amongst list members. You will receive notices of upcoming programs and field trips, conservation and birding news, and notifications when the latest edition of our outstanding chapter newsletter is available for download. To join, type in your email address and click the subscribe button. That will open a new web page. Just follow the instructions to complete the process. After submitting your request, you will receive a confirmation email. NOTE: You will be added to the list ONLY after you have replied to the confirmation email.